Many gamers remember the Nintendo GameCube or Game Boy Advance, their old PlayStation 1 or Sega Genesis since these consoles were probably their first exposure to video games as a whole. Remember when people played on the DS with a stylus pen which is the best virtual pointer for pushing buttons on screen? Well, I certainly did. We fellow gamers are often wrapped up in our own nostalgia, reminiscing about the good old times. That’s why you have people ranting about new video games being all style and no substance. I bet most of you guys have memorized the names of original Nintendo characters by heart now. They’re just about everywhere: On your TV, at GameStop, and as merchandise, not to mention action figures and toys. And it’s not as if consoles have stopped coming out of the woodworks either. There are three titles that dominate the gaming industry today. These are the Wii U, PlayStation 4, and Xbox One. Any new video game releases are now exclusive to these consoles so you’re in luck if you own one of these. The good news is that you can play some popular titles your friends already know about, Mario Cart 8, Star Fox Zero, Hyrule Warriors, Overwatch, Battlefield 1, Lego Star Wars: The Force Awakens, FIFA 17, DOOM, being a few that I can recall from the top of my head. Even if you only own one of the latest consoles, you still have access to at least 20 new releases, specifically made for that console system. I recognize that video game companies have been updating their systems to reflect gamer demands. For instance, the Wii U had the advantage of letting you use up to two game pads which came with a touchscreen that supports online video services like Netflix and YouTube. The nice thing about it is that the Wii U offers a feature called backward compatibility allowing you to transfer your save file data from your Wii games. You can play any previous versions on the Wii U but not the other way around. Whereas in the Xbox One, several upgrades were implemented including an APU based upon the x86-64 set used on the original Xbox console as a nostalgic bonus. The Xbox one improved cloud computing and added the ability to share clips from live streaming onto Twitch. It has a Kinect 2.0 sensor that provides tracking of motion and voice commands for your input. Now I don’t know how much of what I told you is common knowledge but I think I’ve summed up why some people prefer consoles. They like to game on the big screen free from viruses or driver updates. 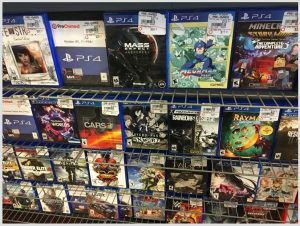 That one time I went to a video game store just to take some pictures. I believe there is no need to start some kind of systems war again on the internet since people should play how they want to without having their gaming credentials questioned. I mean, many titles are already interchanging between console and PC that both types of gamers can play them. In fact, it was console games that got me into Steam since I wouldn’t have been as into PC games if I hadn’t been familiarized with gaming culture. That’s why I don’t think people who use consoles are necessarily wasting their money. P.S. Remember how retail stores started selling amiibos in their games section? They are shaped like Nintendo characters that come with extra downloadable content. It’s basically an add-on to enhance your gaming experience if you need more storylines, customization, or a greater challenge. PC games does feel more like the trend around me recently. Don’t get me wrong here. I am still a big fan of console games. The reason is because it just feels more like you are playing a game when you are holding some kind of remote or handheld that is not a keyboard. Those are just the little things there but it makes a huge difference to me. For example, playing games like Mario and Zelda would make more sense on a console, because it simply feels more exciting. Starcraft for PC is alright too, but that’s one of the few exceptions in my list. You are right. There shouldn’t be a battle between them. They are both awesome. By the way, I notied Hyrule Warriors on your list. Is that related to the Zelda series by any chance? Yeah I agree there, the motion controls on Wii and the button mashing just isn’t the same as on a keyboard. 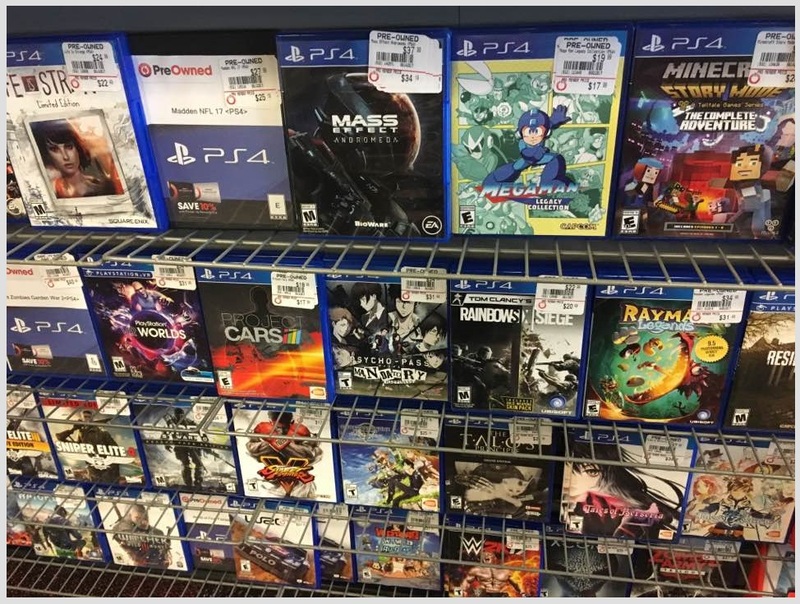 I prefer using console but I just don’t get as many opportunities to shop at GameStop like I used to. Controllers do allow more flexibility as the analog stick allows movements in all directions instead of just by using arrow keys. Hyrule Warriors? Yes, I’ve seen playthroughs of it. Imagine seeing characters from Ocarina of Time, Twilight Princess, and Skyward Sword all in one! Kinda like the Dynasty Warriors series. I like playing both games for the PC and on the console. But one of the things that I like the most about playing on the console is that when you buy a Playstation 4 game (for example) you know it’s going to work on the PS4. You don’t have to worry about having the latest hardware like a PC might. I also like playing “couch games” where you and your friends are all sitting down in front of the same TV and playing some Smash Brothers on the Wii U. Good times! Which games do you enjoy playing on the console with friends? You make a good point about updating hardware on PCs. The consoles never have these compatibility issues as far as I know. I wish I owned the PS4, maybe it’ll finally work on my Apple router. I used to participate in Game Club with my college buddies. I played Mario Party and Co-op in Halo or Team Fortress 2. Thanks for sharing! Next Next post: What are Steam CD Keys?